1. To house, archive, make available, publish, and promote the writings of Gavin Geoffrey Dillard, working in tandem with the Gavin Geoffrey Dillard Archives at the San Francisco Public Library. 2. To present contemporary poetic and musical works and to preserve and promote the artistic achievements of WeNoCa poets, bringing their words to a broader audience. After the rave success of the Asheville, NC, premiere of the Dillard/Borzoni opera, When Adonis Calls (selected “best new opera” by both Fort Worth Opera’s Frontiers, and Opera America—playing Chicago in December, ‘18, and San Francisco June of ‘19), work has begun on an epic new oratorio, The Wife of Lot—a pagan mass. This landmark work is for soloists, full choir and orchestra, and is set to premiere in New York City in 2019. Additional venues are already clamoring for the piece. Donors are muchly appreciated! 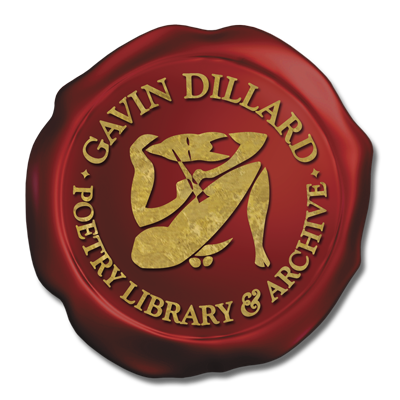 All donations to the Gavin Dillard Poetry Library & Archive (beyond value of rewards) are 100% tax-deductible. Donations of $50 receive a signed copy of Graybeard Abbey, Gavin’s twelfth book. Donations of $100+ receive a copy of Graybeard Abbey, Nocturnal Omissions, and Yellow Snow. Donations of $1,000 and up will receive all three books, donor credit for The Wife of Lot, a very grateful dinner with the author, and of course our undying gratitude! Please check the box in PayPal to “Share my address” so we know where to send your books and receipt. Thanks!